Learn an instrument online with live lessons in the comfort and convenience of your own home. When would you like your first lesson? Pick a date and we'll show you the available teachers. Live music lessons with music teachers on your PC, laptop, or mobile device. Easy and Convenient. Take lessons wherever you are, whenever you want. Designed by a teacher to give students and teachers the best tools for learning music online. No software to download. Learn directly in your web browser. All you need is a computer with a webcam and microphone. A Virtual Music Classroom. State of the art web video, audio, and interactive whiteboard tools bring the classroom to you. Tell us what you want to learn and when you want to learn. We'll recommend an available teacher who fits your skill level and learning goals. Simply choose your teacher and confirm your lesson time. Pay as you go or save with a multi-lesson credit package. Affordable and convenient. Lessons start at just $25 per lesson. Use your web browser, webcam, and microphone and join the live lesson on VirtuLessons at the scheduled time. We take the hassle out of finding and choosing your music teacher by matching you with our high quality teachers. VirtuLessons teachers are personally vetted by the VirtuLessons team for their teaching experience and quality of instruction. 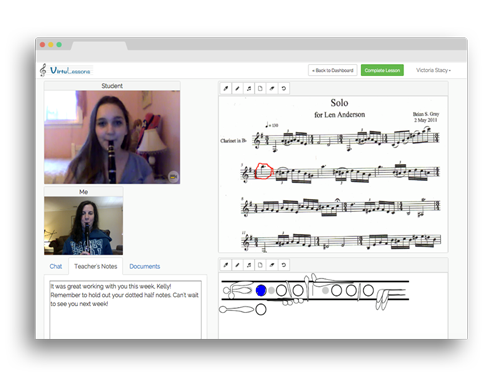 VirtuLessons makes learning music online fun for students of all ages. Track your progress and earn points and levels as you learn. Unlock new challenges. Show off your learning progress and achievements to your friends and family with badges. 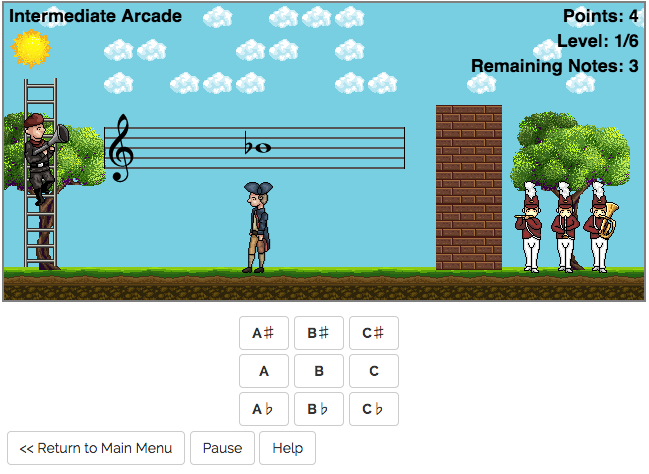 Practice your music skills with interactive learning games. We make learning fun! Choose your instrument below and get started on your learning journey today!